Spottie the Owl is an acting owl. 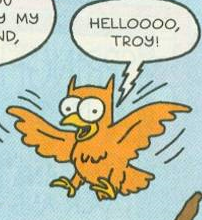 Spottie the Owl starred in the film A Tree Grew in Springfield with Troy McClure. Modified on January 12, 2013, at 05:41.